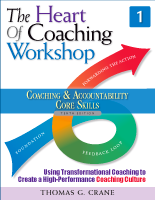 We certify internal and external facilitators, consultants, and executive coaches to deliver “The Heart of Coaching” workshops to their own organization or to their own clients. We certify facilitators for both Core Skills and Advanced Skills workshops. We limit certification group sizes to no more than 12 individuals to ensure that grounding and practice sessions are deep and meaningful. Over the course of a five-day period, individuals seeking certification attend the two-day Core Skills Workshop as a participant of this highly experiential learning workshop. 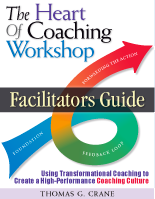 The certification portion consists of three additional days focusing on grounding in the workshop materials and group facilitation skills—all with significant group feedback. 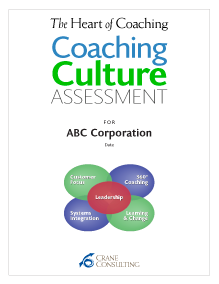 We also cover the culture-shifting tools and consulting approach for clients wanting to legitimately create a leader-led, Feedback-Rich Coaching Culture. 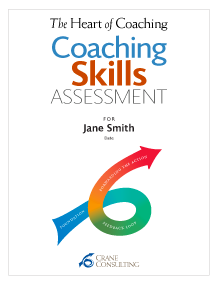 Upon satisfactory completion of the five-day process, individuals who are certified join “The Heart of Coaching” learning community and are able to attend online learning events designed by members of the community. We share success stories, support one another, and address how to handle culture-change related challenges. The ongoing commitment for Certified Core Skills Facilitators is to enter into an agreement to purchase Participant Package materials from Crane Consulting for the workshops you conduct. We also certify facilitators to deliver the Advanced Skills Workshop, supported by the Advanced Facilitator Guide. 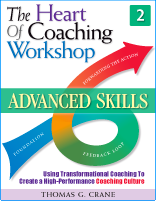 Certified Advanced Skills Facilitators also agree to purchase copies of the Advanced Skills Workshop Participant Workbook from Crane Consulting for the workshops you conduct. Every leader has been through The Heart of Coaching (THOC) training to enable them to use the same communication approach day to day. Our intention has been to make this an ongoing, living, breathing communication process that stays top of mind. It was never approached as a training event—it’s an ongoing developmental process for the whole company. The challenges we faced with our leaders have been largely overcome through these four years of working with THOC. It does not happen overnight. Our senior leaders have maintained a consistent focus on the importance of coaching. This message has been reinforced continually at all of our gatherings. You really can’t get away from the core message—coach and be coached.